The decision to acquire an RV is a weighty one, as the RV, for some, is a replacement for a brick-and-mortar home. The purchase requires significant thought, as it not only requires economic considerations but also personal notions of comfort. 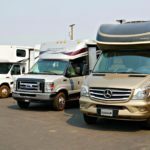 The best way to not only know the ins and outs of the RV lifestyle, but to also understand what kind of an RV works for that potential lifestyle, is to do extensive research on purchasing an RV before ever stepping foot on a dealer’s lot. Salespeople are motivated by moving their inventory, not necessarily by moving their customers into RVs that are best suited to their lifestyle. So, before the excitement of living on the road overtakes the reason needed to secure the right RV, spend some time in an RV. Go on an RV road trip with a friend, or rent an RV before purchasing it. The experience of living for a short time on the road in a smaller space will provide data needed to choose the ideal RV. If spending days in an RV is not an option, visit an RV tradeshow, peruse RV manufacturers’ Websites and read RV-centric magazines where specs and photos are available. Beyond deciding on the ideal RV, consider how to finance the purchase of it. An RV, which may play the role of a full-time home, is, with few exceptions, a depreciating asset—it loses considerable value almost immediately after it is driven off a dealer’s lot. For financial planning purposes, an RVer might engage in a straight-line depreciation of the RV, which would allow for the depreciation of an RV in equal amounts over 10 years. Other options include taking a more significant rate of depreciation early on in the lifespan of the RV or shortening the number of years over which the depreciation occurs. Factors that would help determine the appropriate rate of depreciation include where the RVer is domiciled and whether the RV is used as a residence or for business. The advice of a financial planner and an accountant could be invaluable when deciding whether and how to purchase an RV. 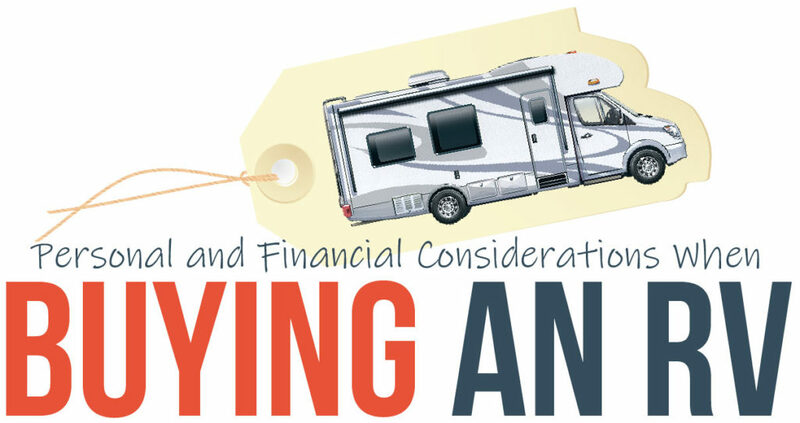 Deciding to finance or pay for the RV outright requires research. Paying for the RV outright has its appeal, particularly for those who derive a sense of fulfillment from living debt free; and, if paying for the RV does not strain the budget, perhaps that is the more prudent option. On the other hand, financing an RV has some benefits, as the RV could be paid in smaller amounts over the course of years. When making a down payment, it’s important to calculate how much capital should be invested in an illiquid, depreciating asset. It’s possible that the down payment may not be recouped. It should also be contemplated whether the terms of the financing provide for a level, or fixed, interest rate, or whether that interest rate is variable. There is current speculation to suggest that the Federal Reserve will raise interest rates in the future. An increase in interest rates has the potential to cause the interest rates charged on RV loans to increase. This could cause the total cost of the RV purchase to increase substantially. Moreover, when the terms of the RV loan are variable, meaning they can increase or decrease, it may be almost impossible to calculate the true cost of the purchase. This complicates the ability to budget for the total cost of the RV. However, with some diligence and the ability to number-crunch, a fairly accurate approximation may be achieved. Beyond deciding to finance or not to finance, it’s important to consider whether the loan has an early-payoff clause. An early-payoff clause allows for additional payments each period, or allows for the total early payoff of the loan, without penalty. Mathematically, early payoffs cause less interest to accrue, if little or no penalties are assessed, making the RV less expensive to purchase. Another method to reduce the effects of compounding interest is to pay the required monthly amount in two payments instead of one payment. By making a partial payment at the midpoint in the month and the second payment on the scheduled date, less interest accrues on the total loan, which can lead to substantial savings over time. Learn more about RV Systems, Maintenance, and Safety with RVOU! In addition to the extended warranty protection plan, evaluate the cost of the vehicle insurance on the purchase of a future RV. Although the consultation with an insurance professional is vital in making this determination, it is generally known that the newer the vehicle, the more expensive the insurance costs. For some, RVs serve as traveling homes. Because they have the traditional features of a home (bedroom, bathroom, kitchen, etc. ), the IRS might define some RVs as a home. If so, the tax on a loan could be considered tax deductible as a home mortgage. As always, consult with a tax preparer to make this determination for yourself. 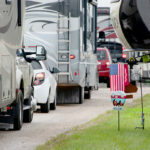 In order to make a trip to an RV dealer’s lot quick and enjoyable, do your research. Also, consider how to most economically finance and maintain that new home on the road. A little research will make the time spent RVing all the more enjoyable. Advisory Services offered through Securities America Advisors, Inc. Tax and insurance services offered through Multigenerational Wealth Strategies, LLC, which is not affiliated with Securities America Companies. 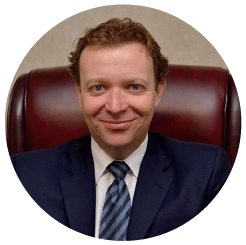 Legal services offered through Loring & Associates, PLLC, which is not affiliated with Securities America companies. Although this information has been gathered from sources believed to be reliable, it cannot be guaranteed. This information is not intended to be a substitute for specific individualized tax, legal or investment planning advice. Individual situations can vary; therefore, the information presented here should only be relied upon when coordinated with individual professional advice.